Hi my name is Shannon, personal stylist and owner/curator of the online boutique Layered By Cake, where I help busy mommas out of their style ruts! My website is Layed by Cake where you can shop online 24/7. My IG page is like a curated catalog of what can be found on my site, plus some “Mom Funnies” to keep you laughing throughout your week. You can find me on Instagram, on my VIP Facebook Group and I am also on Pinterest. I recently ramped up some MAJOR excitement in my VIP Facebook Group Page with my first ever LIVE FLASH SALE!! It was so much fun and the mommas hanging out in my group page truly are my VIP’s. I give them first pick at my new arrivals and we have some amazing chats about #momlife. 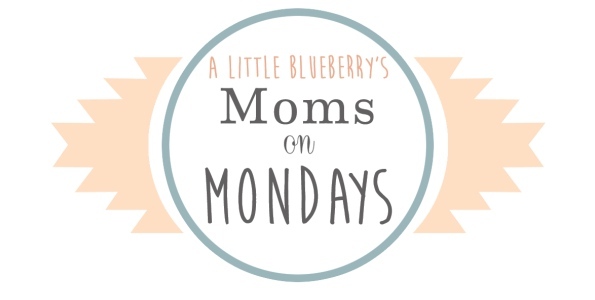 I also pin so many helpful resources on Pinterest for mom style that many of my clients love! My shop is for moms and busy gals that need help getting their style in check! You see, I hand select all the apparel in my shop with the busy momma in mind. I have, not only a BA in Fashion Design, but over 12 years of retail management experience with Anthropologie. Many of my in store styles are influenced by my employment with Anthro, so if your a fan of Anthropologie, I know you will love my selection and, even better, my prices! I opened up my shop with $600 from a tax refund in 2014, when my youngest was only 4 months old. (That's what happens when you put an over-achiever/big dreamer on maternity leave for too long!) I was working as a Sales/Marketing manager for a local business, in the technology industry, but having a desk job with 2 kids at home was less than ideal. I should mention that my husband is also self employed and had only been in business about a 1 1/2 years when I decided to launch my business. Call us crazy, yes, but so far so good and we are both pushing through our goals and dreams daily, so we feel incredibly blessed. My business has always been a goal of mine, to own my own store. 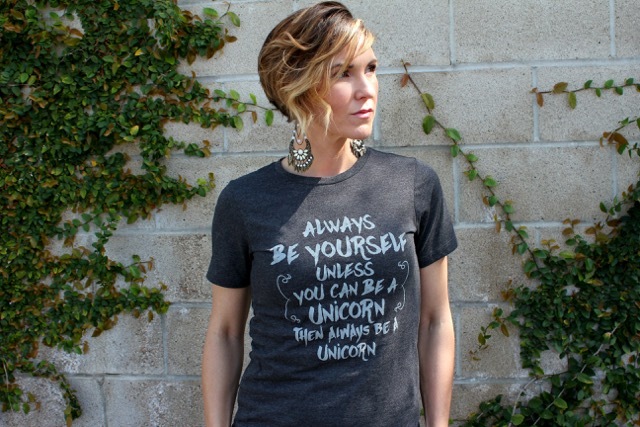 I thought when I was younger that I wanted to host a store of all my own designs, but as I grew up I realized that I find incredible amounts of joy in inspiring and helping woman find clothing that speaks to them. I have always had a talent for “discovering” what others have a tendency to overlook. Maybe it's the creative in me, or just my own rebellious “go against the grain attitude,” but owning my boutique has provided me an unexpected, wonderful journey thus far. My business is really new (only 2 years, barely) and in the world of business, it takes A LOT, to find your way and uncover your own story. I wish more business owners talked openly about how challenging it is to learn every aspect of owning a business. It has been a tiring 2 years, but I am now growing steadily with a very promising growth path ahead for 2016. And it's not by accident! I have worked to make this business what I had envisioned, and am blessed to say that it gets better and better as I learn more about this crazy world of entrepreneurship. My husband is a self employed, finished carpenter. He is crazy talented and supports our family with his endless dedication, kindness and hard work. I am a lucky gal to have him as my partner in life. Our two kiddos are Payton, 5 1/2 and Tucker, 2 yrs old. Two kids is about all we can handle, and I like to say we really have 4 kids because our businesses our are other babies! My daughter is kind, wild and loves fashion just like her momma. Tucker doesn't think my boutique is cool unless there are toy trucks around to play with. He is my work buddy because we frequent my shop to meet with local clients (by appointment only), and to ship orders, processing, etc. Tucker's grandma (my mom) is an owner of an H & R Block which is connected to my shop internally, so Tucker gets to visit grammy pretty often which is great! My company is helping me to be a better mom, a better wife and one heck of an online marketer (since I spend a lot of my time learning new ways to market my product lines)! I have learned that my journey is unique to me, and it is exactly where I am meant to be. This journey has taught me incredible things like - we are all capable of living out our dreams and that the only thing that holds any of us back is our own negativity. Doing what you love, and doing it with those that love you most, is the most amazing journey you can ever ask for! I am blessed to be working hard and living out my dreams one day at a time. Fashion has always been in my blood! My sister and I would play dress up like no other girls I knew. I was fascinated with the art of adornment from a very young age, and how style really is a creative outlet. Fashion saved me from completely losing myself when my parents divorced when I was 12. I managed to maintain my 4.0 GPA throughout school, amidst chaos in my house for almost 6 years. I realized, some years later, that it was because of my love of fashion. It kept me focused on my goals in school. I was 7 years old when I decided I would be a fashion designer. So, even though I am not designing my own line (as of yet), I am doing what I always wanted to do - work in the fashion industry. Better yet, I get to help people that struggle with fashion find joy in it again, and confidence in their style choices. At the moment, it's me and my best friend's little sister (who is also my photographer) who run my shop. My family definitely helps out, but I will be hiring in the very near future for some part time help to ease my hands-on duties so that I can really start to grow this business into the brand I have always dreamed about. For now, I am the model, photo editor, website tech, writer, customer service provider, quality control, shipping and receiving, online marketing guru and one heck of a busy momma! I also attend trade shows twice a year and head out to LA to discover new brands with the right quality, fit and style my clients desire. This business is always changing and evolving. Or maybe I should say I am changing and evolving. My business is an extension of me, and as it grows, I grow. We are one in the same. I am so excited for what the future holds, but most importantly, I am excited to help more mommas find joy and confidence in their style. It's my favorite part about what I do! Right now, doing it all myself is my biggest challenge. I need to hire help at this point. I plan, eventually, to have an online community that helps moms everywhere, finding styles they feel confident in. When I opened shop, it was my intention to make sure no mom runs out of time to be stylish and confident. I want to make it easy for all moms to fall in love with their style again, like they did before they had babies. I love prints! I am very picky about prints, and their composition, so I only bring in something that I think is truly unique and on trend. I don't like to bring in what every other boutique is pushing unless it's right for my style community. I love prints because I will receive testimonials from my customers telling me that their children stopped to compliment them on how beautiful they look in that blouse or dress. It's the best part of what I do, making moms feel great! (yes I think that's a real word) will take you on. 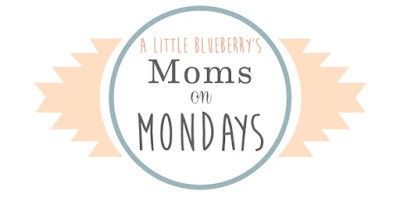 I love to support other boutiques and handmade shops, especially those owned by mommas! My 2 best gals pals own amazing businesses that I support whole-heartedly. Here's some I really love (including theirs): Ellie and James, My Bump to Bundle, Clover and Arrownautics, The Dainty Doe, Shop Ruche, Spool 72, Patterns and Pops and Shop and Apparel. If you are interested in joining my community of busy mommas, Sign up for my Dream Closet Challenge (click to join). It is my newest video series, where I help ladies organize their closets, discover their personal style needs and preferences plus help them find more joy and confidence in their morning routines. It's basically, free styling advice and I think most gals would enjoy that! Thanks Shannon, loved having you!